The Anne K. Taylor Fund (AKTF) supports projects that maintain the delicate balance between conservation and community development within the Maasai Mara ecosystem. Nimble and Year Round: We are deeply engaged in the region throughout the year, allowing us to adapt our project work to the needs of the wildlife and community on an ongoing basis. The Goal: The overriding goal is to offer new perspectives that help empower these communities to protect their wildlife heritage for generations to come. 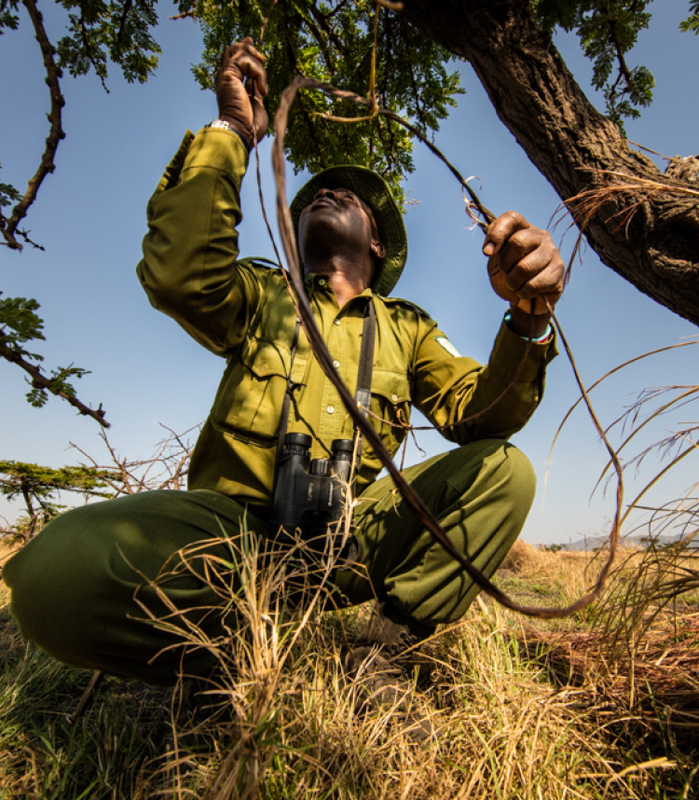 Wildlife and Habitat Protection: The AKTF team, in conjunction with the Mara Conservancy and Kenya Wildlife Service (KWS) Rangers, patrol the area to remove poachers' snares, prevent human wildlife conflict, apprehend poachers and prevent illegal deforestation. 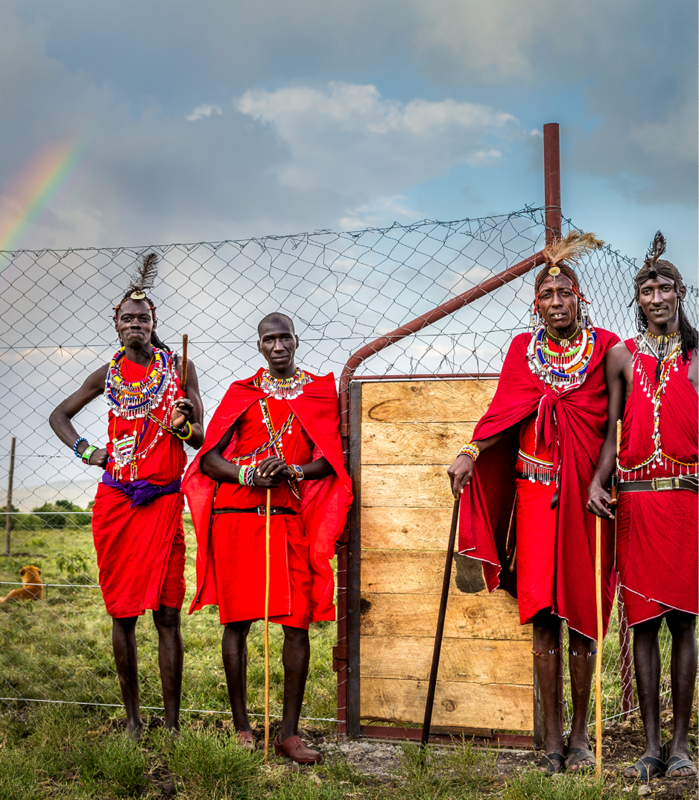 AKTF’s modus operandi is to listen carefully to the Maasai communities to determine what they need. We then work together to find lasting solutions. Bomas: We partner with the local livestock owners by providing materials and expertise to build predator-resistant enclosures (bomas) that keep livestock safe at night. This mitigates the revenge killing of the big cat predators such as lions and leopards, along with other predators. Education: We have built and support a number of primary schools where we provide facilities, textbooks, desks, uniforms, school lunches (currently in one school only) and potable water. 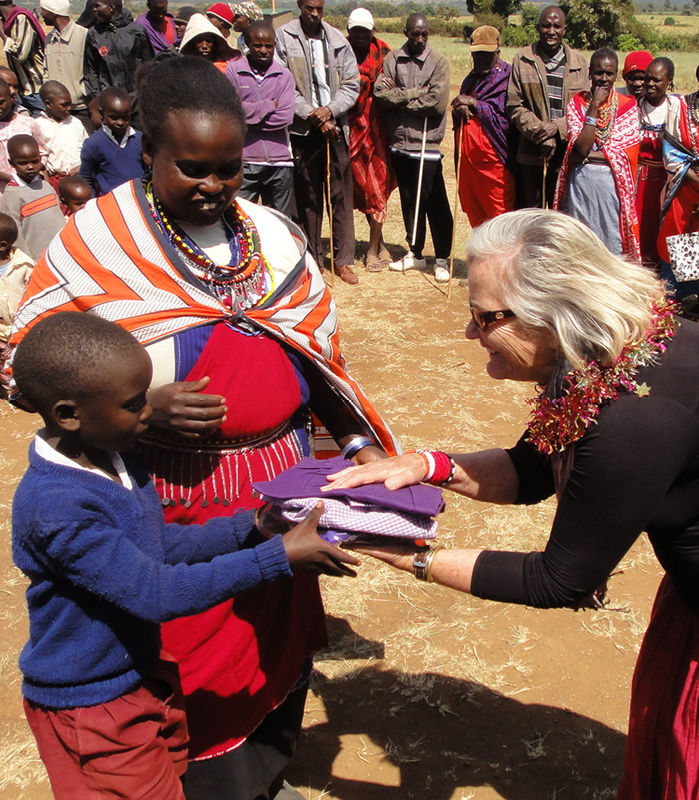 Women’s Empowerment: AKTF, partnering with the Kenya Government-supported Ushanga Initiative is empowering pastoral women’s groups to earn an income through their beadwork. This income allows them to support their children’s education and to invest in other ventures. Women's Health: We partner with the Esidai Women’s Group to produce re-usable (washable) sanitary pads. Through educational workshops we offer these pads to both school children and adults. These workshops are helping to break social taboos and we hope will reduce early pregnancies with girls, who are often as young as 11. Situated at the very northern tip of the enormous Serengeti Ecosystem, the Maasai Mara has a famously high density of resident animals, which is to say nothing of the annual migration of millions of wildebeest and zebra. This globally important ecosystem is considered to be one of the Seven Wonders of the Natural World. It is imperative that this space and its wildlife remain protected. There are no fences bordering Maasai Mara National Reserve or any of its surrounding Conservancies, so wildlife are able to move freely from the protected areas to unprotected ones in the surrounding communities. The animals move like this to find pasture, a variety of trees, medicinal plants, mineral nutrients, and maternity grounds. Their dispersal also means that they will inevitably come into contact with human settlements. By the same token, the lack of perimeter fences around protected areas allows poachers to freely enter them. Why Do Humans Hurt Animals? There are two forces that cause the persecution of wildlife. The first is poaching, as there is a large demand on the blackmarket for the animals’ meat (known as bush meat) as well as for their prized body parts. The second is human/wildlife conflict. If the animals destroy crops, property, or kill livestock or people, humans will seek revenge. Sometimes, if a wild animal so much as grazes in the wrong place, it can end in tragedy. For twenty years, our modus operandi has been to listen carefully to the Maasai communities to determine what they most need, and then work together to find lasting solutions. Increase in population and habitat destruction pose a great threat to this fragile land. Left unchecked, this place – my home – will not last. In addition to wildlife conservation, our projects are focused on partnerships, NOT HANDOUTS, which are rarely sustainable. The goals revolve around empowerment and education in order that these communities can protect their wildlife heritage for generations to come. I was born and raised in East Africa. Several months a year I reside in the Maasai Mara. During four decades working in the safari business, I have seen growing pressures on wildlife from poaching and predator-livestock conflicts. My conservation efforts began in 1998 when I started to receive visits from a large, wild warthog that lived near my cottage in the Mara. Sir Francis, as we called him, could usually be found lying in the sun or grazing on the lawn in front of the verandah. He sought out my company and encouraged me to scratch his ears, de-tick him and, as he rolled on his back like a puppy, rub his tummy! One morning, I found Sir Francis outside my house with an arrow embedded deeply in his side. I organized for a Kenya Wildlife Service veterinarian to come and surgically remove the arrowhead. He successfully recovered and years later died a natural death. His offspring still visit me on a regular basis – one young male has even larger tusks than those of his mighty ancestor! The incident alerted me to the increase in poaching activity. And so I sought and gained permission from the government to patrol the region along with the authorities, searching for other injured animals. My fears were justified when I found several elephants, lion and giraffe that had become badly entangled in a life-threatening wire snare. These were embedded deeply into the animals’ limbs, and the elephants’ trunks, which in some cases were completely severed, causing unfathomable pain and damage. Remarkably, once the wire snares were removed and the wounds treated, the animals were generally able to make a full recovery.